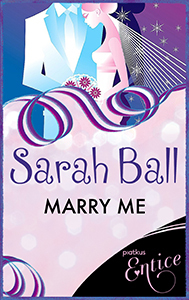 Like most girls, Abby has always dreamed of her wedding day. When she was eight she imagined she’d look like a fairy princess. At thirteen it was the perfect meringue and yards of ivory tulle, at sixteen jeans and her favourite Doc Martens. The only constant in her wedding plans has been Nathan Priestly. Nathan was the school heartthrob and for Abby, the one that got away. Only now Nathan’s about to get married to one of Abby’s best friends and Abby is having to accept that over a decade’s worth of unrequited love will remain just that. The better part of Abby is happy for them both. She’s even volunteered to be their DJ at the reception, although her secret play-list consists of: ‘Don’t Marry Her’, ‘Temptation’ and the complete works of Alanis Morissette. Is Abby destined to be always the DJ and never the bride…?